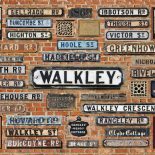 There are lots of different ways to get involved in the Walkley Ways, Walkley Wars project and discover Walkley’s past. You can share your memories and photos of Walkley in the 1960s and 1970s for the archive and to publish on the website, booklet, exhibition and DVD. We will record people’s memories of life in Walkley, especially during the 1960s and 1970s. You can do oral history recording with individuals and small groups (we are running training sessions on the 19th and 27th February to show how to conduct interviews and use the recorders). We are also planning an afternoon memories day event on the 15th March in Walkley Community Centre for people who wish to share their memories to come in, let us know what they are over a cuppa, and take their names so we can arrange to record them. We will go through the archive of the Walkley Action Group and research what they did. This is in the Walkley Community Centre and Sheffield Archives. We will do local history research on the types of shops and businesses in Walkley in the 1960s/70s to find out what was here. We’ll also look at old maps to see what they show. We’ll also ask people for old photos which will need scanning and archiving by place and subject. Other local history research will be on the Reform Club members who fought in WW1 – what did they do and where did they live before going to war, and for the survivors what they did when they returned home. We’ll also research their service, such as what battles were they involved in with their regiments. We’ll also do local history research on the early history of the Reform Club and what Walkley was like in in 1908/09. A local historian is co-ordinating the local history side of things and we’ll run introduction sessions on how to use Sheffield Archives and the Local Studies Library. We hope to set up the Walkley History Society in autumn 2013 with talks in the Community Centre.